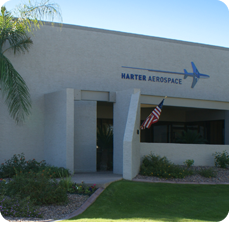 Since 1988, the mission of Harter Aerospace has been focused on fulfilling customer requirements with quality component repair and overhaul. But, more than quality, Harter has developed the reputation of achieving technical excellence by paying attention to meticulous details and providing a friendly and flexible aerospace aftermarket company that the aviation industry has come to trust. This means Harter's experienced sales associates care about understanding your requirements and our experienced technicians and engineering team stand ready to serve you. Today, Harter Aerospace has earned a reputation as the overhaul facility for "particular aerospace customers"; clients whose standards are high and who appreciate quality and attention to detail. Thank you for taking the time to explore our FAA, EASA, CAAC, and JCAB approved repair agency. We hope it can become the facility of choice for your aircraft components and accessory repairs. We are confident you will find that our standards are as high as yours!